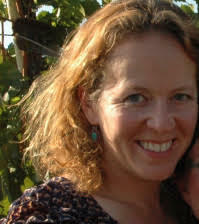 Kicking off Climate Change Month at Real Scientists is Dr Kimberly Nicholas (@KA_Nicholas ) Associate Professor of Sustainability Science at Lund University Centre for Sustainability Studies. Kimberly, who will be live-tweeting the international scientific conference Our Common Future Under Climate Change being held in Paris this week has a huge range of experience in sustainability research. Kimberly began her academic life studying Earth Systems at Stanford, has two Masters degrees; one specialising in viticulture (wine making!) and land resource management; and did her PhD in global ecology. One reason for Prof Nicholas’s interest in climate change is her interest in wine-making: how will climate change affect the taste of wine? We’re delighted to be hosting Prof Nicholas this week. You can learn more about her research at her blog here and during her week at Real Scientists. We also asked Kimberly our usual six questions, here she in her own words. Why or how did you end up in science? Growing up on a dirt road in the hills of Northern California, spending my free time catching frogs and covering an entire wall with space photos- basically a love of nature and curiosity about how it works, plus great teachers and mentors who inspired and encouraged me. The first time I got to do research as a sophomore in college, I couldn’t believe my luck that someone wanted to pay me to hike around in the mountains and count flowers. I was inspired by professors in college who were passionate about science, and about making science accessible to everyone. In particular, Steve Schneider was a huge influence on me. I am still in this field because I believe it’s critical that everyone realize how much climate change impacts all of our lives already- and how important it is that we change the pathway we’re currently on, which leads to a world I don’t want to live in. I study how climate change impacts our ability to grow food and wine, how farmers can adapt to climate change through smart agricultural practices, and how to better manage land to provide for the needs of both people and nature. My parents have a small vineyard, and this sparked my interest in wine, which I’ve studied as a model system where we can taste the impacts of climate change. (I have a popular science article about this in Scientific American, summarized and linked here). 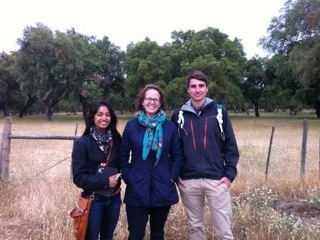 I also teach master’s students at Lund University in our sustainability science program, and mentor master’s and PhD students in conducting research ranging from analyzing large-scale land acquisitions (land grabbing) in Africa to cork oak management in Portugal to perspectives on the value of vineyard landscapes in California and England. Everyone who eats should care about climate change. What we eat has a tremendous impact on our health and the environment. Many people don’t realize that agriculture contributes a great deal to the greenhouse gases causing climate warming- more than industry, and almost twice as much as transport, for example. At the same time, food production is threatened by climate change: crop yields tend to decline at warmer temperatures. Eating food is a really direct connection with the environment. We all vote with our forks three times a day, and there are many options for individuals to choose food that is healthier for both us and the planet. I contribute to the Road to Paris blog, which has updates on the science, policy, and economics of climate change related to the big climate conference in December, where the next international climate change deal will be negotiated. I am involved in work to make science a better place for early-career scientists (primarily grad student to early-career faculty level), to make science a more fair and collaborative place. I am currently obsessed with lindy hop, a style of swing dancing from the 1930s. Believe it or not, a tiny town in Sweden played a key role in reviving this dance from Harlem. I’m going to a week-long dance camp there this summer. My favorite place is Fallen Leaf Lake, in the Sierra Nevada mountains of California. I worked at a summer camp there in college, leading nature hikes and stargazing cruises. I recently got to go back for a reunion with many of my best friends from college, and I think the combination of beautiful nature, creativity, and amazing people was pretty ideal. Please welcome Kimberly to Real Scientists! It’s going to be a huge week!